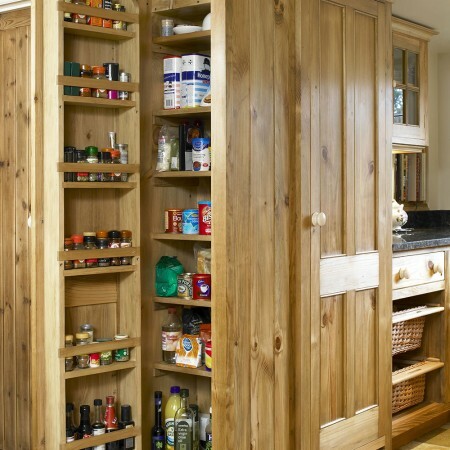 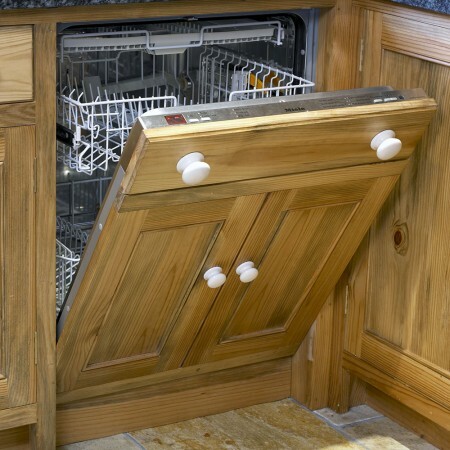 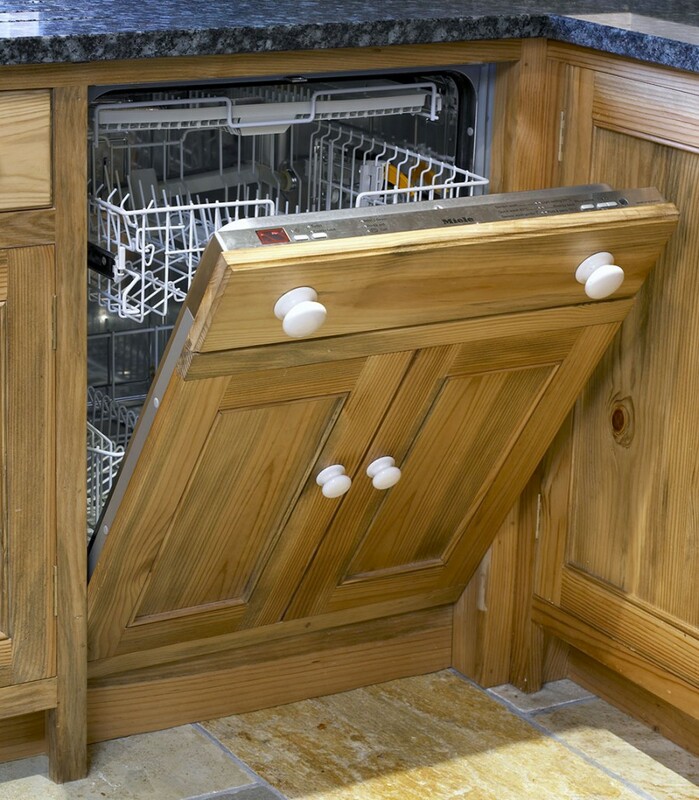 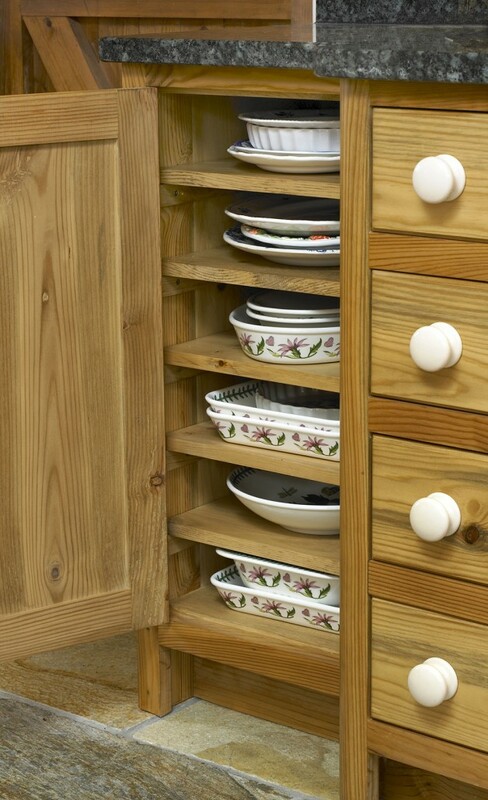 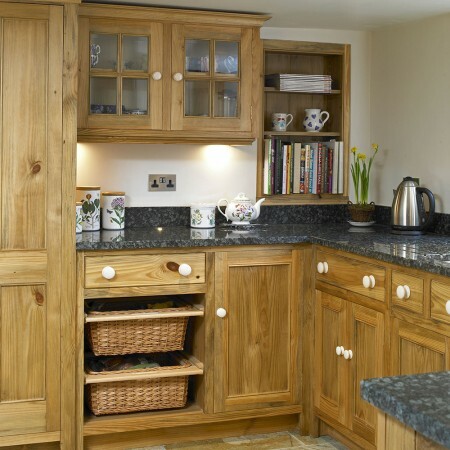 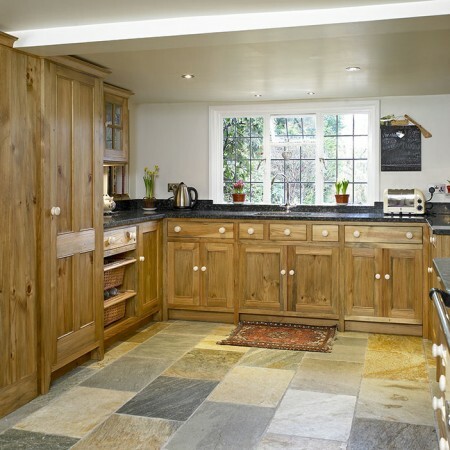 This cosy Craftsman country kitchen has been constructed from specially sourced reclaimed pine finished with Top Oil. 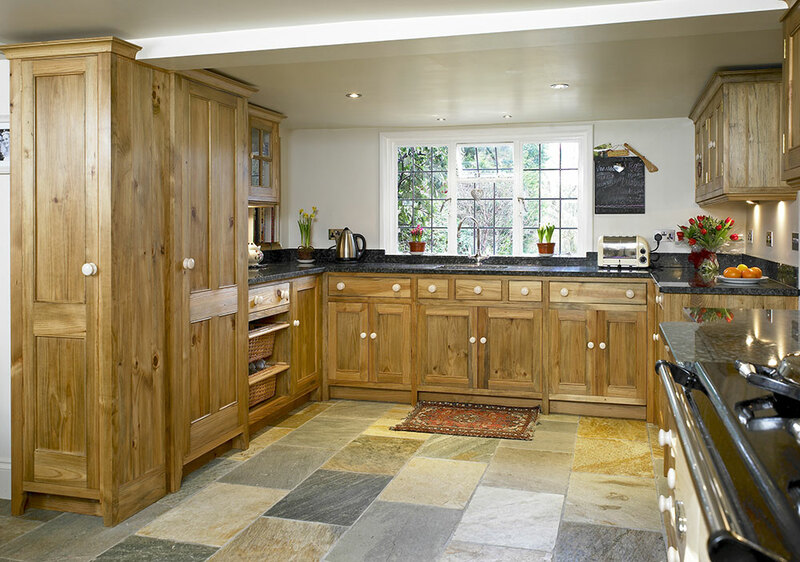 The rich textures of the timber combine effortlessly with the riven Oyster Slate floor. 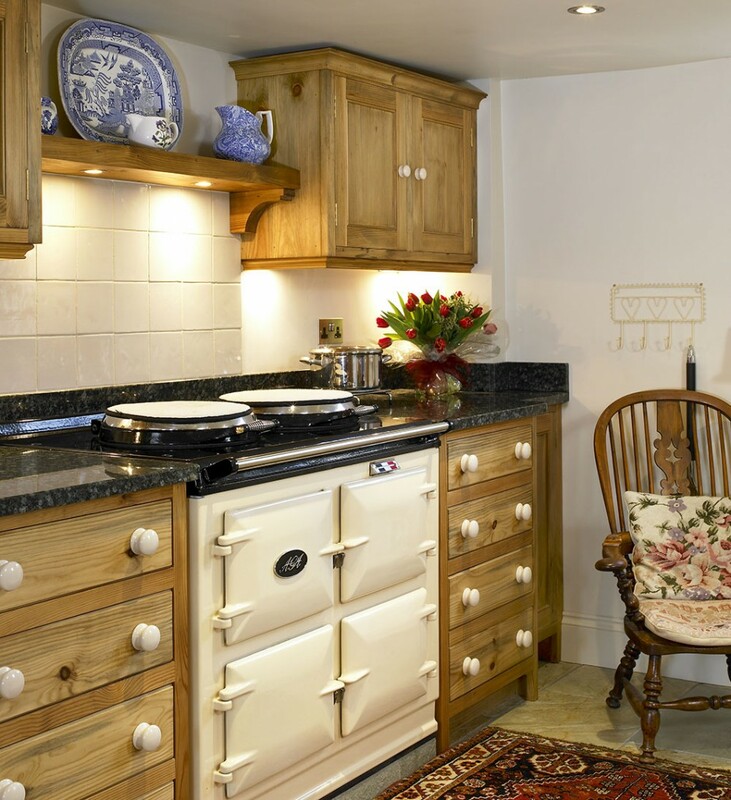 Varying colour within the slate is found in the green shades of the lovely Verde Fontaine granite and the cream enamel of the AGA. 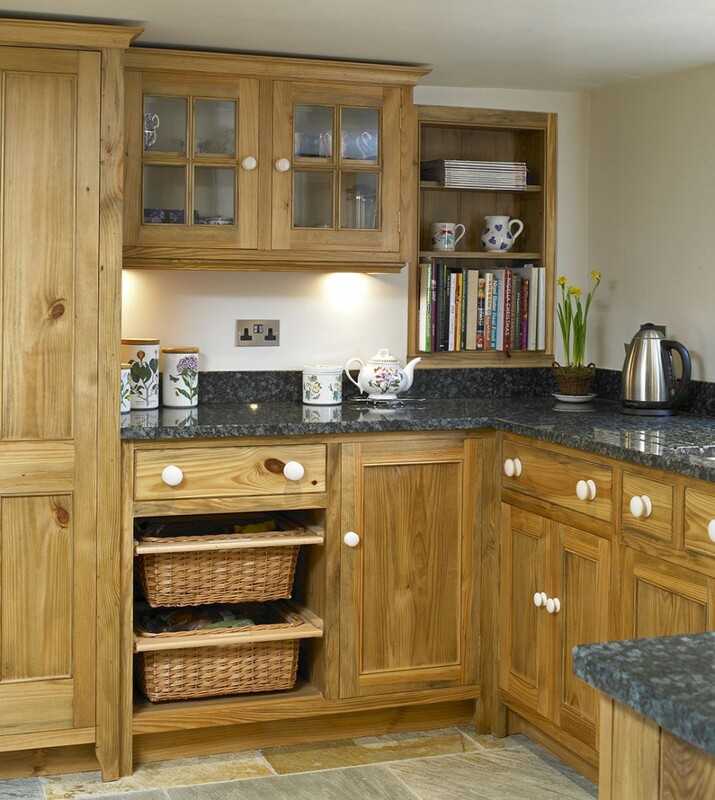 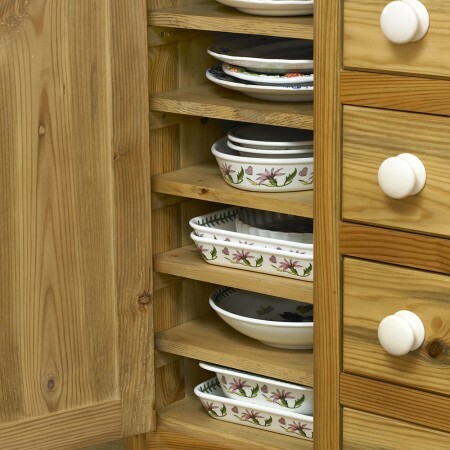 The cabinet doors are subtly emphasised with a period cockbead around the panels and the use of porcelain knobs adds a striking authentic detail to the period cottage setting. 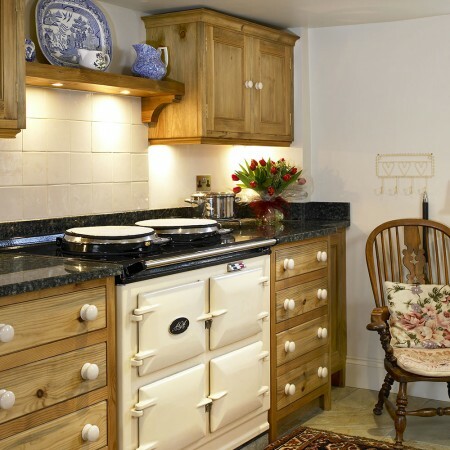 Lights set into the underside of the mantle shelf ensure the AGA hotplates are gently illuminated and enhance the beautiful texture of the Marlborough Tiles splashback. 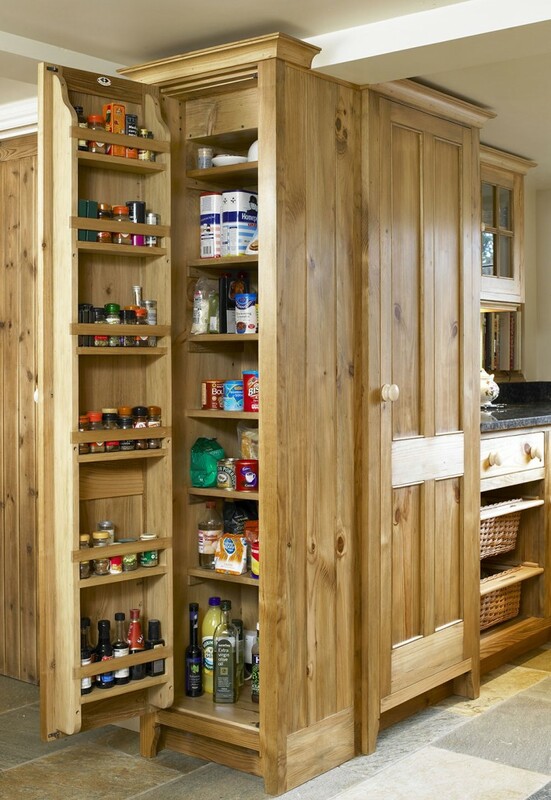 To bridge an awkward area of the L shaped kitchen, and to maximise useful storage, we built a larder cupboard onto the side of an integrated fridge housing, which has become the clients favorite part of the kitchen.